Rabbi at Salonica about the beginning of the nineteenth century. 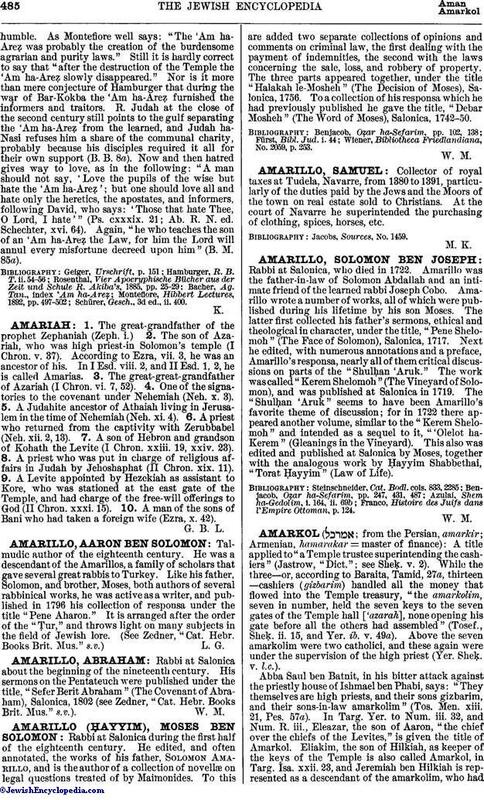 His sermons on the Pentateuch were published under the title, "Sefer Berit Abraham" (The Covenant of Abraham), Salonica, 1802 (see Zedner, "Cat. Hebr. Books Brit. Mus." s.v. ).